Obituary for Dolores P. (Pell) Meredith | McIlvaine-Speakman Funeral Home LTD.
Dolores P. Meredith, 94, of Mt. 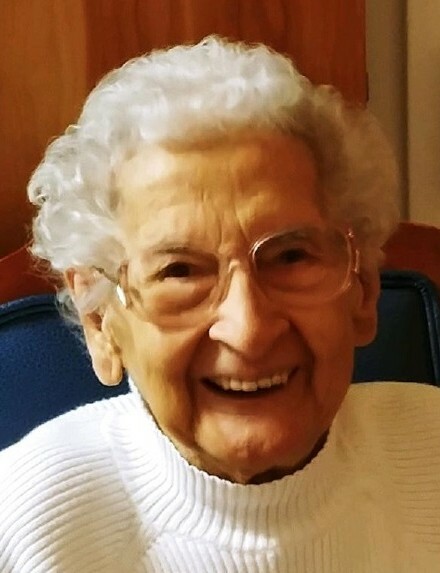 Pleasant, formerly Canonsburg and Washington, died Saturday, April 13, 2019 in the Frick Hospital, Mt. Pleasant. She was born January 27, 1925 in Canonsburg, a daughter of Joseph and Mary Rose Pell. Dolores was a 1943 graduate of Chartiers High School. She had worked as a secretary for the Law Firm for Attorneys Greenlee, Richmond, McCune, Possa and Derrico as well as several other local firms. Most important in her life was her family. Surviving are a son, James B. Meredith (Kathy) of Mt. Pleasant; two grandchildren, James B. Meredith II (Dana) of Corry and Beth Dixon (William) of Stokesdale, NC; six great grandchildren, Kyle and Bailey Levine, Sydney and Liam Dixon and Carson and Marcus Meredith; and many nieces and nephews. Deceased are a granddaughter, Holly Levine; and six sisters, Josephine Gray, Frances Stanko, Estella Pell, Nancy Sallar, Rose Ellen Dernoshek and Rose Marie Pell who died within weeks of her birth. Friends will be received from 1 to 3 p.m., the time of service, Thursday, April 18, 2019 in the McIlvaine-Speakman Funeral Home Ltd., Robert K. McIlvaine, Owner/Supervisor, 27 Cherry Ave., Houston, PA 15342, with Rev. Robert Huber officiating. Interment will be private.